Improving livelihoods without dependence on grants – self-sustaining social enterprise NATIVE KONBAC is now valued at USD 1.2 million. 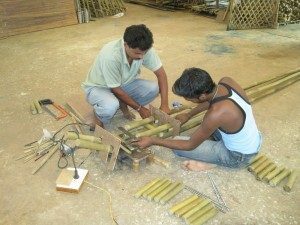 In 2002, INBAR and Indian partner CIBART established the Konkan Bamboo and Cane Development Centre (KONBAC), a non-profit organization dedicated to generating livelihood opportunities for rural artisans and farmers through the creation of eco-friendly bamboo products. Determined to trigger a paradigm shift in development action through which their work would not have to rely on grants but rather become self-sustaining, INBAR helped KONBAC establish a sister for-profit institution, NATIVE KONBAC in 2009 to address the triple bottom line of “People”, “Planet” through “Profit”. 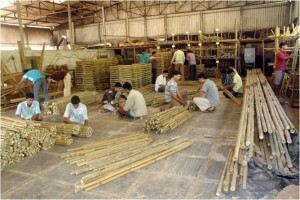 NATIVE KONBAC artisans at work. Starting with an equity infusion by primary stakeholders and a working capital loan of 5 million Indian rupees (US $92,180), in less than 4 years, NATIVE KONBAC is now valued at 65 million Indian rupees (US$1.2 million), with the most recent equity of 25 million Indian rupees (US $456,375) raised from Maitreya Rural Growth Venture Pvt. Ltd. This ‘twinning’ of a non-profit organisation and a for-profit social enterprise with unified goals has enabled the operation to accept capital investment from the private and public sector, invest in infrastructure, and retain professional staff, enabling the sustained growth of the business, which at KONBAC has increased from under a million to 90 million Indian rupees in the current financial year. More importantly, it has empowered the artisans to become shareholders and co-owners in the growing business. 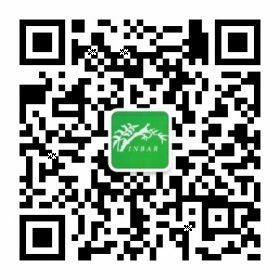 With the increased equity, NATIVE KONBAC can do much more business and hence impact more artisans and farmers involved in the manufacture of high-value and high-volume bamboo products. The number of artisans involved in the initiative has grown from 260 when the organization was launched in 2009 to 1400 today, with 420 directly employed by NATIVE KOBAC. Moreover, the average salary of the artisans has increased by 50% in only four years. Likewise, the number of farmers involved in the initiative has grown from 550 in 2009 to 1900 today, with farmers now earning 60% more for per bamboo pole than they were in 2009. The initiative has also helped to curve a growing trend of migration from villages to the cities through the development of the local economy. Mr. Satesh Haldankar, an artisan from Kudal, who has worked with KONBAC for the last 7 years and is also shareholder of NATIVE KONBAC, touts that he made the right decision in working for KONBAC and breaking the long held annual tradition of migrating to Mumbai for jobs in the Konkan region. In addition to its financial success as an inclusive social enterprise, the case of NATIVE KONBAC demonstrates the benefits of a model that is now becoming an example for many in the development sector and is being replicated across INBAR’s network of Action Research Sites, particularly in India and Africa. Twinning of a non-profit to a for-profit is a unique model for social and economic empowerment of the rural poor. For KONBAC, the sustainability of this business model will ensure long term continuity in its work while benefitting and empowering larger numbers in poor, rural areas without having to rely on grants that commonly only last a few years. This model was awarded with the first prize in the Sankalp Award 2011 in India in May, India’s largest Social Enterprise Awards.